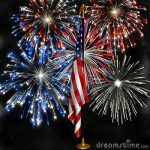 The Terrell Chamber of Commerce and the City of Terrell sponsor the largest fireworks display in Kaufman County every year on July 4th. Join us at Ben Gill Park just after dark for the fireworks show! The Christmas in July event will be happening in Terrell’s downtown district the first Saturday in July. Join us for music, food, shopping, and more. This is your opportunity to meet one-of-a-kind local downtown merchants and enjoy downtown Terrell. Young and old alike can join us at the public pool in Ben Gill Park to beat the heat of summer. We have programs to help you keep in shape, learn to swim, or just enjoy your summer! Terrell Summer Reading is underway! 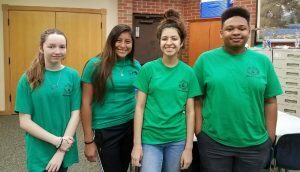 The Riter C. Hulsey Public Library sponsors a Summer Reading program for kids and youth to compete for prizes and join together for fun. Join us for Terrific Tuesdays all summer long! Read more about the Summer Reading program. 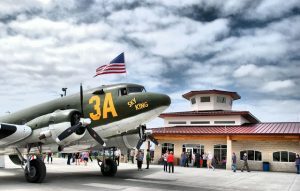 Every September at Terrell Municipal Airport, we celebrate the history of the airport at the Flights of Our Fathers Fly-In with historic aircraft, games, food, and more. Prior to and during World War II, Terrell Municipal Airport was home to the No. 1 British Flying Training School where thousands of Royal Air Force officers came to learn to fly.